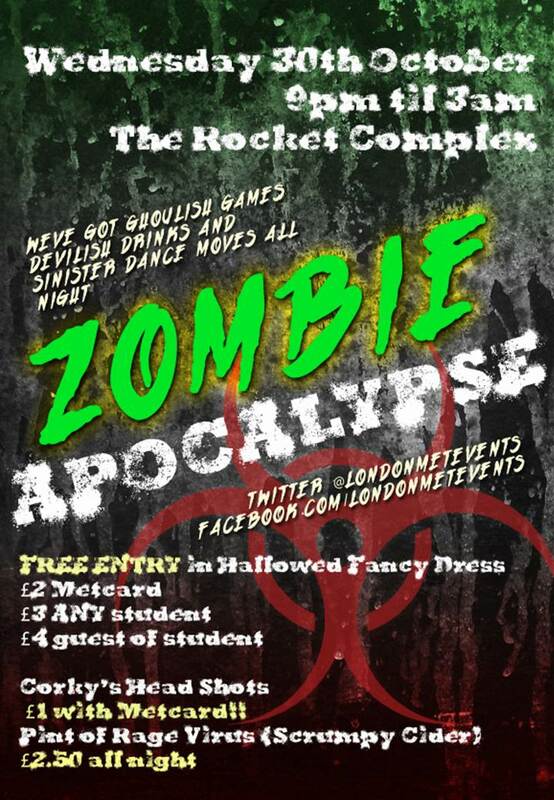 Halloween at The Rocket is 30th October 2013 – Zombie Apocalypse! There’s been a toxic leak in the Superlab and all the students (and staff) have turned to zombies!!!!! 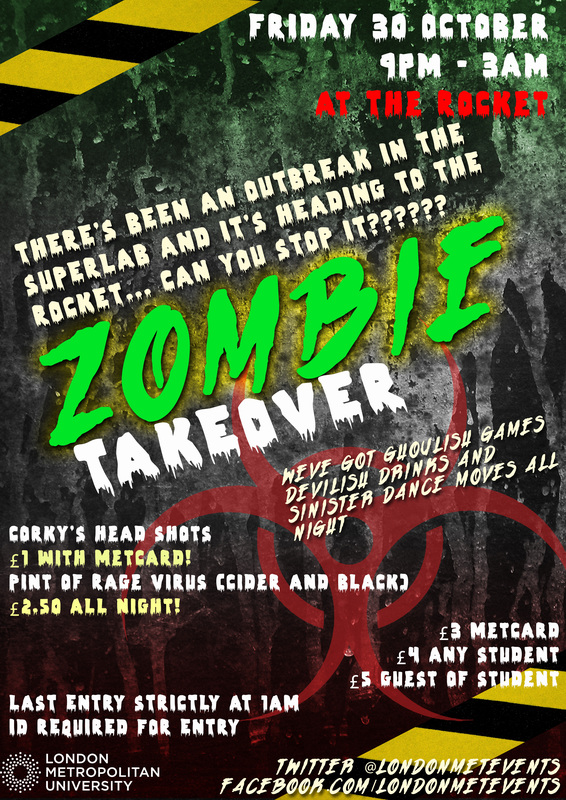 Come help us fight them off, or join the zombie hordes for a night of brains, gore and zombie related fun!!! We’ve got ghoulish games, devilish drinks and sinister dance moves all night. Corky’s Head Shots – only £1 with Metcard!! GUESTS OF STUDENTS MUST BRING PHOTO ID! LAST ENTRY STRICTLY AT 1AM!